Here is an interesting view from a runner and writer on the Nike’s Vaporfly 4% shoe on whether it is fair in the spirit fair competition, whether the technology behind the foam and the carbon-fiber plate is legal and whether its price makes it “reasonably available” to all athletes. Ian Riordan of the Irish Times is preparing to run the Dublin marathon in October and has already bought a pair of the Nike Zoom Vaporfly 4%. “Today is the first day of my competitive running comeback. It’s all building towards a proper assault at a personal record time in the Dublin Marathon in October, and I know Eliud Kipchoge is losing a lot of sleep over that,” wrote Ian. 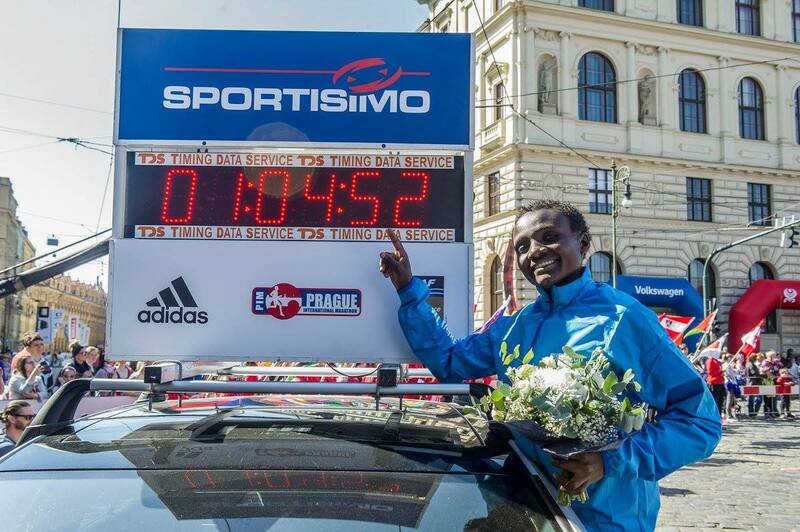 This year’s Hamburg marathon is worth waiting for. 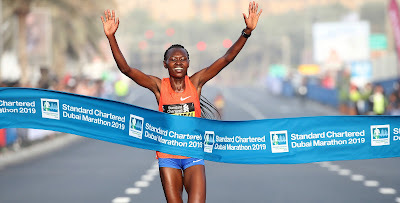 It is shaping up to be one of the biggest marathons to look forward to in April, with so many high profile long distance stars already getting enlisted to run. Before more names can come out soon, here is the recent press release from the organizers of the marathon on the women’s half marathon record holder. The truth is you can always run faster, but sometimes the truth hurts. Two Hunters: Two hunters are walking through a forest looking for deer when all of a sudden; a giant bear jumps out and scares them. They drop their guns and run. One of the hunters stopped, opened up his backpack and laced up a pair of running shoes. His buddy looked at him and said, "What are you doing? Are you crazy? You can't outrun the bear!" To this the hunter said, "I know, all I have to do is outrun you!" Below is the report from the organisers concerning the big race today in Morocco. 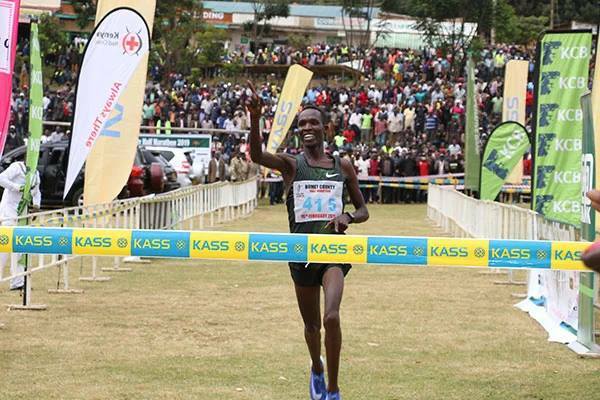 Two historical days unfolded consecutively in Eldoret town, the city of Champions. 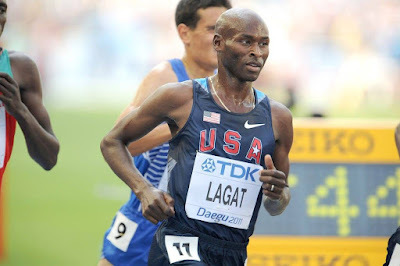 On the 22nd of February 2019, statues of Kenyan athletes were unveiled along the Nairobi-Eldoret higway at a junction that appears to be the gate to Eldoret town. This is probably the first time that such statues to recognize athletes that have given so much glory to the Kenyan nation are being set up anywhere in the country. On the 23rd would be the first time that the national cross country championships, referred by some speakers during the launch of the statues as the “semi-finals of the world cross country championships,” will also be done here. 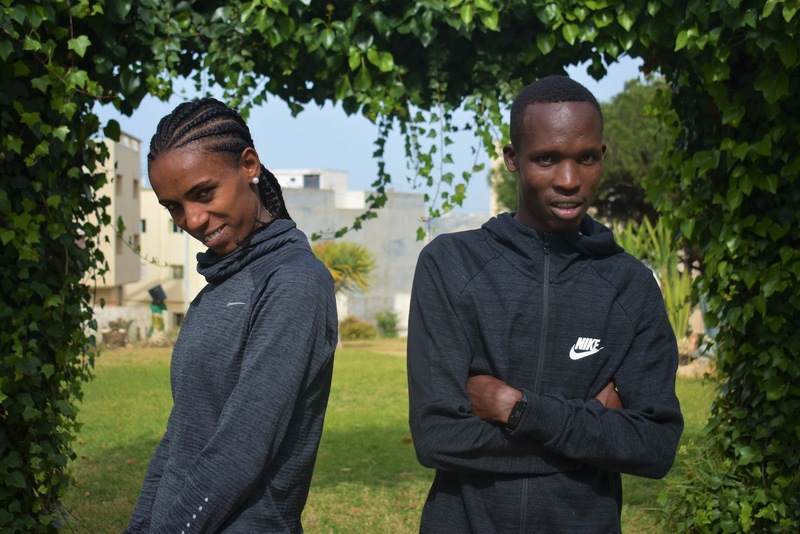 Safi, Morocco, February 22, 2019 - The journey to marathon success is a long and winding road, and for Kenya’s Bernard Ngeno and Ethiopia’s Hiwot Ayalew, it runs through Safi – a port city of 300,000 that sits on Morocco’s scenic Atlantic coast. Fresh from winning the Bomet County half marathon this past weekend in Kenya, Bernard Ngeno will be heading to Morrocco for the Safi International Marathon on Sunday. Below is a press release from the organizers of the race. Safi, Morocco, February 9, 2019 - A high-calibre field spanning 10 different nationalities is set to take to the streets alongside Morocco’s Atlantic Coast for the Safi International Half Marathon next Sunday, February 24. Often, while one walks around with some runners and comes across some of their former primary or high school classmates, they would hardly believe that they are the same ages judging from the way they look. Well, according to an article in the New York Times, a study has found that regular exercises can keep one 30 years “younger” than their peers. It claims; the muscles of older men and women who have exercised for decades are indistinguishable in many ways from those of healthy 25-year-olds, according to an uplifting new study of a group of active septuagenarians. It is understandable when some international road races set some parallel prize money structures to reward runners from their countries as a way to encourage upcoming runners from their nations too. This will clearly encourage some healthy competition among the locals and in the long run strengthen the nation’s runners to be at the same competitive level as the international runners (Kenyans and Ethiopians, mostly). 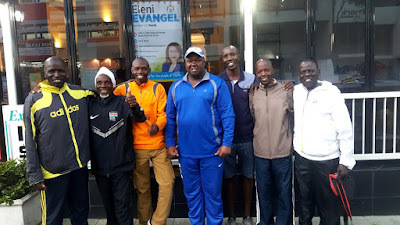 It is also understandable when some running shoes and apparel companies just choose to sponsor runners from a certain region on the continent with the claim that their stores are located in their countries and that they feel the athletes from such places would best help represent and market their brands there. It is also quite understandable and only natural that one would want to see a countryman, even a relative, or someone close to you win a major race in your country. But, it should be encouraged to happen in a fair manner. Ways should not be devised to have only a few selected runners compete against those they believe they have a better chance of beating if the spirit of sport is to be maintained. Runners will often try to find other reasons besides their lack of sufficient hard work, to explain why they were beaten in a race. The origin of an athlete should definitely never be an excuse! Turkey, Bahrain, Belgium, Qatar, South Korea, Israel, Sweden, The USA, and many other countries have been taking runners with East African origin, especially Kenyans and Ethiopians, to represent their nations in inter-continental competitions, Olympic Games and world championships. But, it is not just runners who acquire new citizenships. A good running shoe, apparel and wrist watch is what every serious runner should have in their training. I have been using the Garmin forerunner 235 for my training since February 2018, which is over a year now. And, since I am not sponsored by any watch brand I will give an honest review as to what I like about this watch and what ought to be added.